More importantly than how his presidency will affect Americans' daily lives is how his presidency will affect diplomatic relations with foreign countries, likely altering Americans' experiences while traveling and even jeopardizing their ability to travel abroad. Many citizens from countries around the world think we just elected the next Putin and they are not only in disbelief, but they are terrified. What Was Life Like In Castro's Cuba? "Fidel fears many things, and when you fear so much, you cannot love at the same time." Among the passengers on the 150-seat Airbus A320 will be U.S. Transportation Secretary Anthony Foxx, JetBlue Chief Executive Officer Robin Hayes, news reporters and photographers. 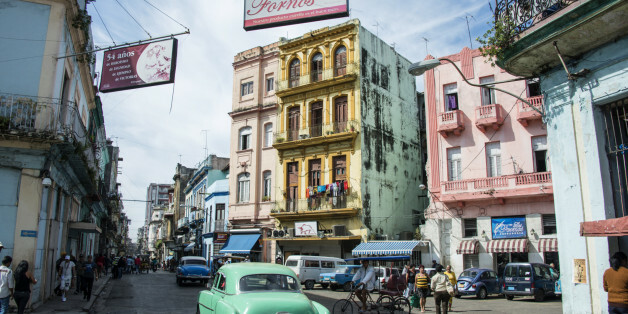 With the assistance of my newfound Cuban friend and others that I made along the way, I learned that Cuba is much more than a time capsule - it is a country still deeply entrenched in a complex political situation, a struggle for financial stability, and teetering on the brink of a collective craving for a better life. There it was. Havana. I was about to step foot on the forbidden island. The hidden gem of the Caribbean. The island of controversy and music, art and cigars. The land of classic cars that's the dream of every car collector in the US. The day had come. Excitement about Cuba continues to grow. There's the culture, the rum, the cigars, the incredible warmth of its people. And of course, there is this sense that Cuba has been a forbidden fruit for so long, and everyone wants a taste. When you visit Cuba you notice one thing right away: Older people are everywhere you look. Older people seem to be everywhere because they are welcomed everywhere. Unlike citizens in other Western countries, Cubans make it clear that their elders are an integral part of cultural and social life. From the outside, the Riviera looks close to abandoned, but it is still functioning; I was also told that, inside, it is a perfectly preserved piece of mid-1950s exuberantly excessive Americana. Since President Obama took steps to normalize relations with Cuba, much of the public discussion has been about how to improve relations between the United States while also opening access for the Cuban people. It was rare to see an American flag in Cuba before the 2014 thaw in relations, but that appears to be changing. As doors open to the island nation, conservation efforts are underway.